Honest Advice. Clear Guidance. Fierce Representation. 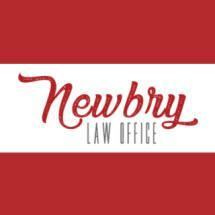 At Newbry Law Office in Port Orchard, Washington, this is our promise to you: We will listen to you, give you candid advice and work hard to quickly resolve your case. We will never rack up billing. We will be a fierce advocate throughout your case, available to you 24/7. We understand you are going through a difficult time, whether you face a criminal charge, a family law dispute, tax issue or other legal matter. We want to help. What makes our law firm unique goes beyond our experience. We are personable attorneys who are easy to talk to — someone you can call your lifelong attorney. We make our clients feel comfortable and welcome. We have a couple office dogs, so say hello to one of our dogs when you come into the office. Christine Newbry has been the lead trial attorney in hundreds of criminal cases and countless hearings in criminal and family courts. If you need a trial attorney, Christine is the lawyer for you. A former prosecutor and public defender, Christine knows how the prosecution thinks. Laura Baier is one of the few tax law and estate planning attorneys in Kitsap County with a Master's of law (LL.M.) in taxation, the highest possible degree awarded to tax lawyers. In addition, attorney Baier also has extensive trial experience and family law experience. Our attorneys are licensed in both state and federal courts, and our experience extends to matters encompassing a wide variety of legal issues, including military divorce.